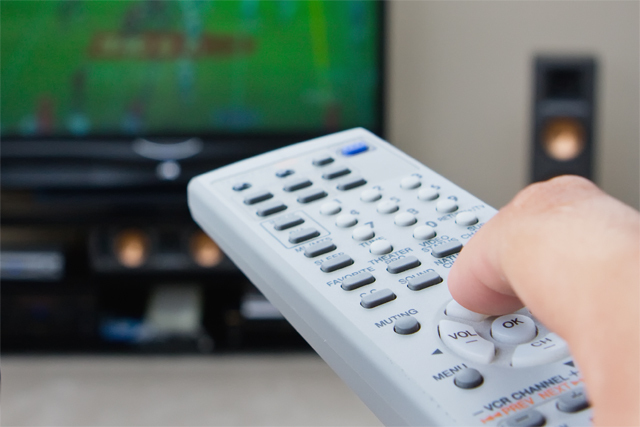 The UK's commercial television sector has continued to attract advertising spend since December and remains on track to achieve growth of 1% in 2012, according to ZenithOptimedia. In its latest advertising expenditure forecasts out today (14 March), ZenithOptimedia reports that despite many predicting significant declines in TV spend, which accounts for 27.7% of total spend, it maintains confidence in its 1% growth for the year tipped three months earlier. Falls in TV spend in FMCG and retail sectors were found to have been offset by growth from the finance and motor segments during January and February. Looking ahead, ZenithOptimedia anticipates "marginal growth" for the remainder of the year, but notes that a strong second quarter is expected to be followed by marginal falls in the second half of the year as activity spikes around Fifa’s Euro 2012 football championships and the London 2012 Olympics. Last week, Thinkbox revealed the TV advertising market grew by 2.2% to a record £4.4 billion in 2011, boosted by a raft of new broadcast advertisers, including Google, Groupon and Avios. A total of 887 new or lapsed advertisers (those that had not used it for at least five years) used TV advertising in 2011, accounting for 2.6% of total TV ad revenues, according to the TV marketing body. The growth figures for 2011 include non spot spend on branded content and product placement. It compares to traditional spot revenue rising 0.7% last year, according to ITV's preliminary results at the end of February. Elsewhere, the commercial radio sector, which accounts for 3.8% of total national adspend, was the only media to receive a significant upwards revision in Zenith's forecast, with growth of 1.7% instead of the 1% expected three months ago. Internet spend is still expected to rise 9.3% this year, to command more than a third (34%) of all UK adspend. The internet's grip over UK spend is higher than in any other world market, and compares to second placed Norway (30.2%), Germany (20.6%), and the US (19.2%). Jonathan Barnard, head of forecasting at ZenithOptimedia, attributed the dominance of internet on the UK's ad market to a combination of factors, including the BBC’s share of TV audiences which advertisers are unable to tap into, and the large appetite for English-language content online generated from outside the UK. Today’s forecast offered no respite for the embattled press sector, forecast to fall 1.6% to 2.5 billion, with the uncertainty that plagued the end of 2011 continuing into the start of 2012. Similarly, consumer magazines are expected to fall 1.9% year on year to £822 million. Barnard said the Olympics and Euro 2012 football championships in particular, and the Diamond Jubilee to a lesser extent, are still expected to provide a real boost to print ad revenues, but any hopes for an early lift have disappeared. In the first two months of the year, advertising spend continued to disappear from newspapers, with supermarkets sector down 25% year-on-year, and banks down 36%. Both have traditionally been among the biggest spenders in print. Meanwhile, the UK’s Olympic 2012 is still expected to provide a boost for the outdoor sector, as the country becomes a backdrop to the world’s biggest sporting occasion, but growth has been reined back slightly, from 5.3% tipped in December to 4.9% anticipated now.